With the arrival of October, the countdown to Halloween has well and truly begun. To celebrate, Carousel Cupcakes (that's my good friend Sam and I - yep, I am now a fully-fledged Carousel team member!) 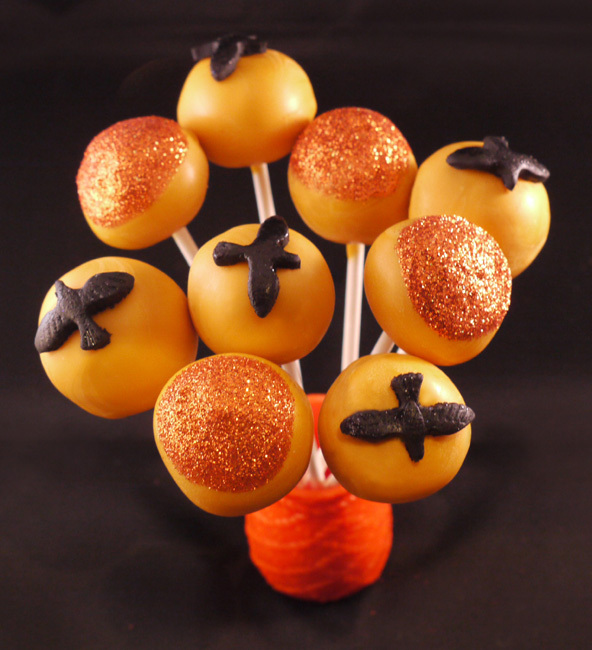 decided to create these Halloween Glam cake pops. We decorated the pops with deep, autumnal orange glitter and little ravens dusted with black glitter. Trick or treat! If you would like to know how to make cake pops, be sure to check out my tutorial from last year. They are really simple and would make a great DIY project for any parties you're having this season. If you're interested in how my friend and I got into baking, we've been interviewed over on the Super Happy Cupcakes site. Happy baking!